I was trying to do the first tutorial on the official Youtube channel, everything was fine until I encounter a small issue. 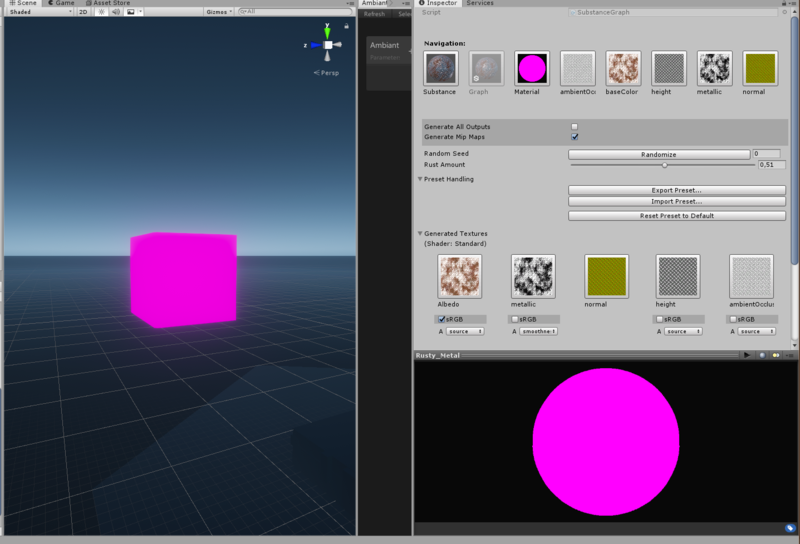 When I import the asset in my scene (in High Definition Render pipeline), the Material is pink. Same with an asset dowloaded on the officiel website. Thank's for the help ! EDIT : I try to import the same assets in a standard 3D scene and it was working. So I guess the problem is my scene in High Definition Render Pipeline ? Is Substance Designer not working with HDR ? There's a video guide here to set up HDRP materials in Unity: https://youtu.be/ikBUXPYdzdY . It is a little different at the moment for HDRP, as the plugin does not natively support it out of the box currently. 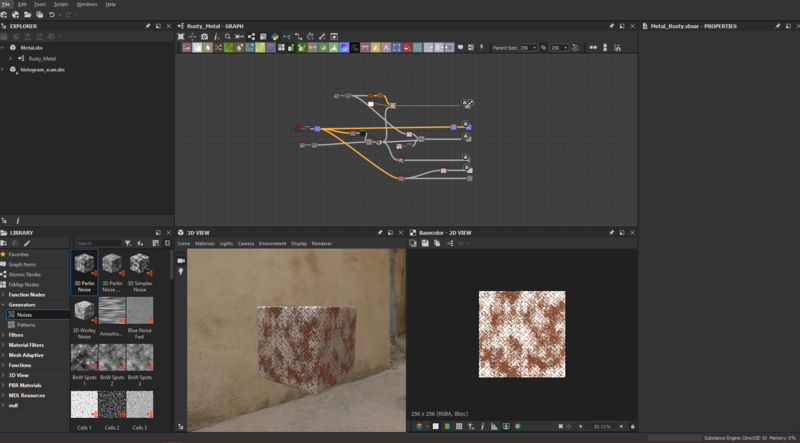 It requires some work in Substance Designer, packing maps in certain channels for the HDRP shader.